Driverless vehicles are looking more and more like a big part of the future. The much-hyped autonomous vehicles Uber is testing on Pittsburgh and the smaller, more discreet tests going on elsewhere indicate that fully autonomous cars could be here sooner than we think. One group has suggested a rethink on road policies for self-driving cars, proposing a plan to create a “driverless lane” connecting the cities of Vancouver and Seattle. This plan to dedicate at least one lane of the I-5 from Seattle to Highway 99 in Richmond, B.C., comes not from city planners, but from tech industry experts, with proponents of the plan including Tom Alberg, a board member of Amazon, and Craig Mundie, a former Microsoft executive. The plan calls for autonomous vehicles to share high-occupancy lanes with regular vehicles initially. Over time, these lanes would become dedicated to driverless vehicles, with regular vehicles banned except when the highway is experiencing only light traffic. 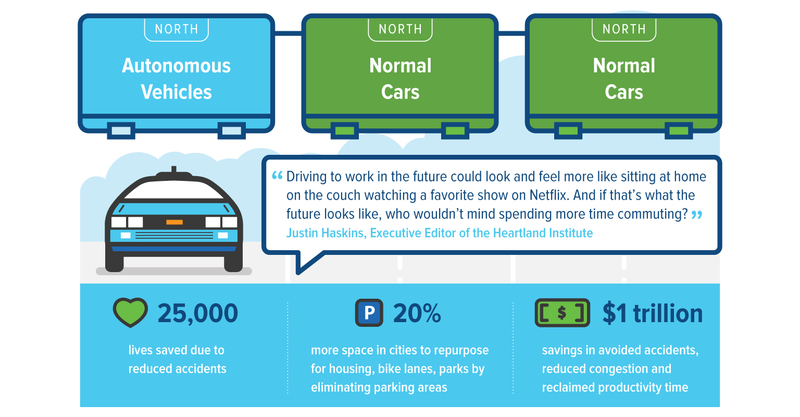 With fully autonomous vehicles not yet a major part of day-to-day life, why think of this now? As is the case with any new technology, the development of automation could outpace the necessary societal changes for adaptation. The report says that this plan would give the two cities an edge in innovation and technology. Also, making changes to road policy is far less expensive than developing new public transport systems, which have the same goal of decongesting roads. The report estimates that a true high-speed rail connecting Seattle and Vancouver would cost around $20-$30 billion, far more than what the plan calls for. Eventually, travelers may have no choice but to give up their position behind the wheel (metaphorically) as transportation experts such as Lyft founder John Zimmer predict driverless cars will one day account for most, if not all, of the cars on the road. And with plans like the one described above already in the works, that day may be sooner than you think.